Today, Allianz and the Drone Racing League (DRL) announced a global multi-year partnership. As the title sponsor of DRL’s race circuit, Allianz will leverage its motor racing heritage to bring the “Sport of the Future” to a rapidly growing world-wide audience. The Allianz World Championship 2017 series will consist of six races to be aired in over 75 countries starting in June. The races will push the skills of 16 top drone pilots who will be flying racing drones at over 150KMH (90MPH) through a series of 3-D racecourses in iconic venues across Miami, New Orleans, Atlanta, Boston, Munich and London. The partnership with DRL will allow Allianz to connect with consumers of the fast growing drone industry. Allianz’s aviation insurer, Allianz Global Corporate & Specialty, offers a variety of drone insurance products for private and commercial operators, manufacturers, repairers, flight schools and training facilities. Drones also play an increasing role for Allianz in regards to property claims assessment and agriculture insurance. Together with its customers and sales partners, Allianz is one of the strongest financial communities. More than 85 million private and corporate customers insured by Allianz rely on its knowledge, global reach, capital strength and solidity to help them make the most of financial opportunities and to avoid and safeguard themselves against risks. In 2015, around 142,000 employees in over 70 countries achieved total revenues of 125.2 billion euros and an operating profit of 10.7 billion euros. Benefits for our customers reached 107.4 billion euros. This business success with insurance, asset management and assistance services is based increasingly on customer demand for crisis-proof financial solutions for an aging society and the challenges of climate change. Transparency and integrity are key components of sustainable corporate governance at Allianz SE. DRL is the premier drone racing circuit for elite FPV (first person view) pilots around the world. A technology, sports and media company, DRL combines world-class media and proprietary technology to create thrilling drone racing content with mass appeal. 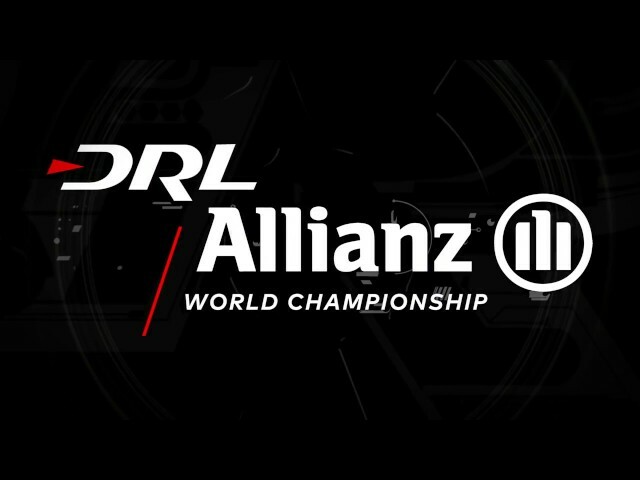 In 2017, DRL is hosting a global series of 6 races as the Allianz World Championship to be broadcast on ESPN, Sky Sports, Prosieben, OSN and other leading broadcast channels around the world. Founded by Nicholas Horbaczewski in 2015, DRL is a privately held company headquartered in NYC. For more information on the 2017 race season, visit www.drl.io. To join the conversation, follow DRL on Facebook at facebook.com/thedroneracingleague, on Twitter @DroneRaceLeague, and on Instagram @thedroneracingleague.